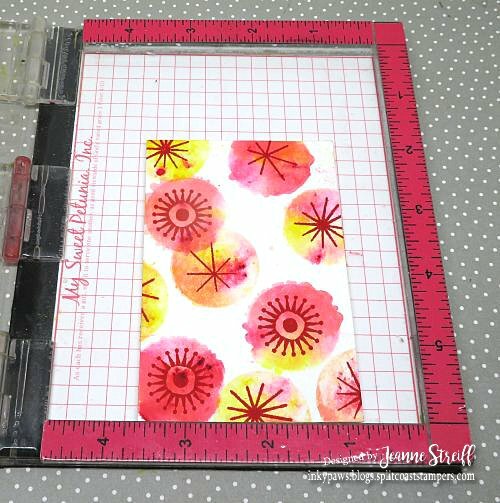 Cut your cardstock (or whatever paper you plan to use) to 2 1/2" by 3 1/2" and get decorating! 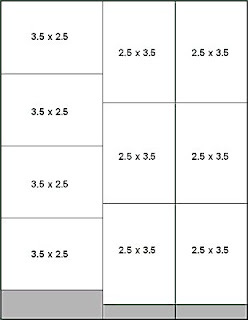 Think small! 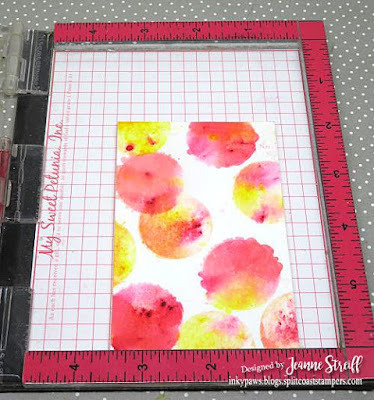 ATC's are great to have around to add to a card base for a quick card. 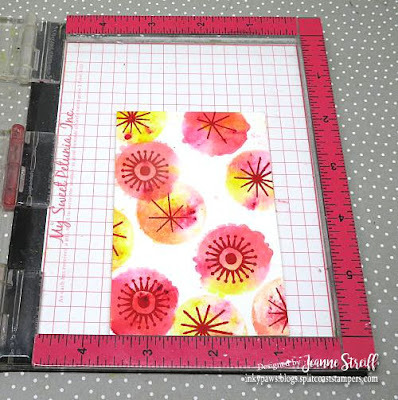 Here is a template that shows how to cut 10 ATCs from one sheet of cardstock. 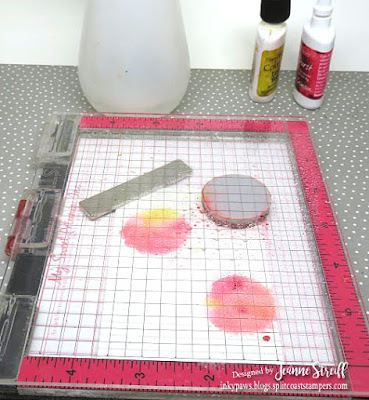 I created the background by placing one of the solid circles from Technique Junkies Here We Go Round in Circles (set of 12) on my Mini MISTI, misting with water (just a little) and then tapping a few grains of Color Burst (Alizarin Crimson and Lemon Yellow from the Brights Collection)onto the stamp. 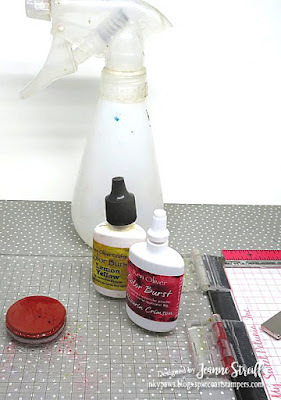 I misted with water again (again very lightly) and stamped onto watercolor paper. 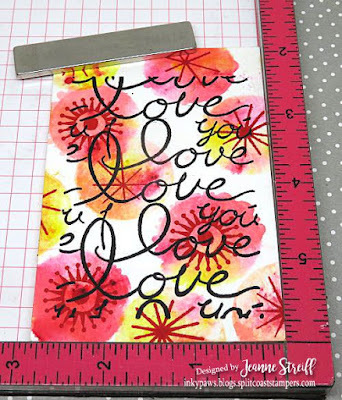 Repeat until you have a pattern you like. I stamped Technique Junkies Love You in black over the top of my flowers, trimmed and added a mat. 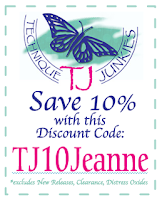 Use code TJ10Jeanne for 10% off at Technique Junkies stamps! Oh this is so cool. Love these colors. 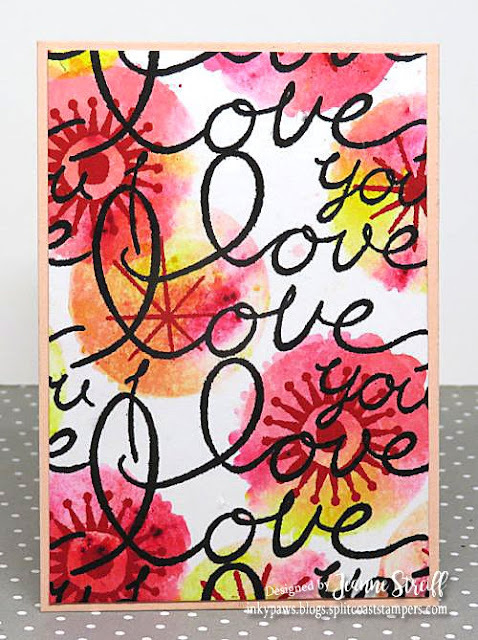 Such a fabulous card and I will have to try this! !